Most of us envy a younger brother or 6 year old boy for getting amazingly long eyelashes. Seriously, one of the mysteries of the universe is why the males end up with all the luscious eyelashes. 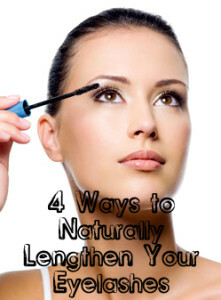 But you may be happy to know that there are ways you can naturally lengthen your eyelashes. It is said that the following things can help lengthen and strengthen your eyelashes. I have found that the best treatment for longer and thicker eye lashes is an old remedy that my moma told me. It’s simply using baby oil each night before bed time. It works like a charm and very inexpensive.